The performance advantages of titanium valves certainly come at a financial cost to many engine builders; however, there are tricks to reducing mass on conventional steel valves that will help achieve similar power improvements. Engine builders are looking at hollow-stem valves as a way to reduce weight and increase rpm without switching to costly titanium valves. The key to a well-designed hell-w-stem valve is a concentric wall thickness. 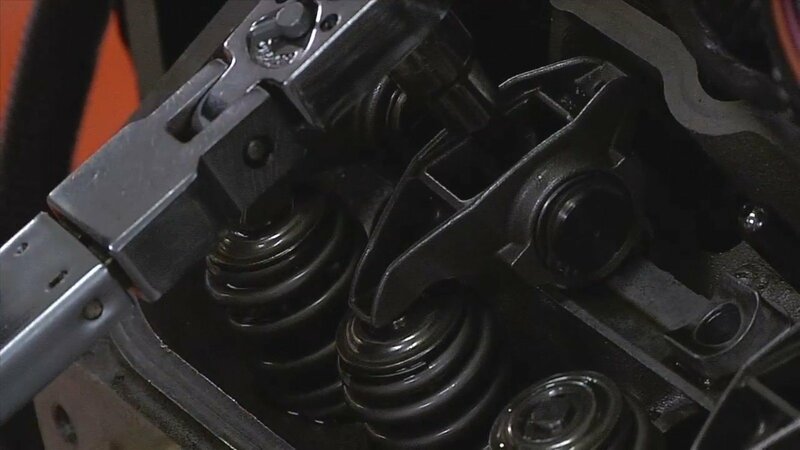 Much of the emphasis on valvetrain performance in recent years has focused on stiffening the pushrods and rocker arms, correcting the geometry and improving the fatigue life of the valve spring. Engine builders then challenged those improvements with more aggressive camshafts, and lighter valves helped not only with acceleration rate but also increasing redline. “We’ve seen from 300 to 600 rpm gains just from switching to hollow stem valves,” reports Urrutia. Drag racing and circle track customers continue to drive market for lightweight steel valves. 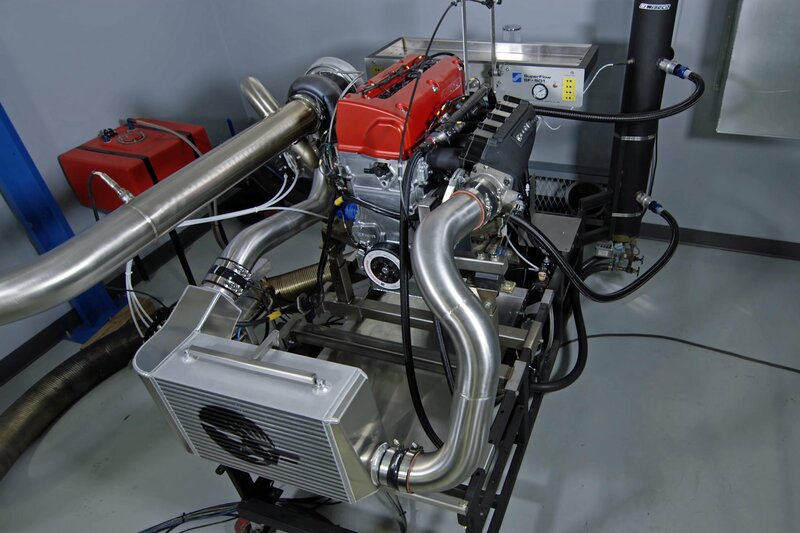 As rules restrict methods of increasing horsepower, engine builders are looking to reduce valve mass in order to bump up the rpm and boost power. Hollow-stem valves are about one-third the price of comparable titanium valves. They’re available in most popular sizes, and manufacturers can generally custom drill hollow-stem valves that are available off the shelf. In most cases custom orders can be filled in three to four weeks. That extra step is a little more expensive in some applications, yet, it’s still cheaper than titanium. Cutaway comparison of hollow-stem valve. Of course, you can even go hollow-stem titanium and really inflate your build budget. “If your rules don’t allow titanium, the best-case scenario is to run hollow-stem stainless,” says Urrutia. Just how much weight reduction can be gained with hollow-stem valves? When designing a dish on the combustion side of the valve, engineers use CAD models to determine thickness in critical areas. Hollow-stem valves are manufactured by gun-drilling with a high-quality drill to hollow out the stem. The drill is aimed up through the valve head into the stem at a predetermined distance. “We run a close tolerance to make sure there’s a concentricity of .0001-inch in that hollow area,” says Urrutia. The hole is then sealed before final machining and polishing. Comparison of a dished stainless-steel valve and a titanium valve with a flat face for additional support. “The polishing is important. You look at imperfections on any material, and when you polish it through it strength obviously increases 10, 15 percent or more,” says Urrutia. Hollow stems can be applied to both intake and exhaust valves; however, the emphasis is usually on the intake side as durability is more of a critical factor with high heat environment of the exhaust valve. Engineers can also play with the margin on the valve to help reduce weight. Hollow-stem valves can offer up to 25 percent weight savings over similar traditional stainless-steel counterparts. Filling the exhaust stem with sodium was once a popular trend with the OEMs, but Urrutia says it’s no longer a racing solution that he would recommend. That said, Urrutia says Ferrea has supplied valves to customers who machined their own dimples, and they reported that the modification disrupted the airflow as intended with positive results. In fact, dimples have been machined into the tops of pistons (below), inside intake manifolds and all along the intake port. Those tests often lead other engine builders to try even more radical ideas. A hollow head obviously would reduce weight further but there is a point of diminishing returns, in both costs and durability. “We’ve looked at it. It’s a 2-piece design,” says Urrutia. Basically, the valve head is divided in half and the appropriate areas of each section of the head are machined and polished to create a chamber. Think of cutting a large pie in half and gutting out the fruit filling. Then the two halves of the valve head are friction welded followed by more machining and polishing. A strong, more affordable and practical alternative to hollow heads is a well-designed dish on the valve face. More views of a hollow-stem valve. Dishes are popular with Pro Stock valves where the head size is in the 2.610- to 2.640-inch range. The downside to dishing, of course, is that the combustion chamber volume increases, which leads to a lower compression ratio. “They say the dish doesn’t really bother them, because they can find the compression somewhere else,” says Urrutia. Example of a flat-faced intake valve and dished exhaust valve. Titanium continues to be the ultimate lightweight option. 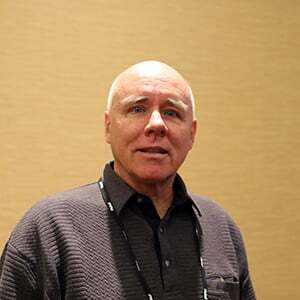 Raw costs have steadied, so there won’t be much in the way of cost increase. The emphasis continues to focus on durability. Applied to the valve in a vacuum chamber through a process called physical vapor deposition (PVD), CrN is twice as hard as chrome and provides high wear resistance and helps with heat dissipation. It also offers a uniform coating; that is, it follows the surface texture of the part very evenly and leaves no buildup on the edges. Even if the valve flexes, CrN won’ flake or delaminate. Engine builders can order hollow-stem titanium valves, but the weight reduction is only in the 10 to 12 percent range to maintain strength. “You’re already starting out with a lighter material, so in some cases it may only be eight percent,” adds Urrutia. Another lightweight trick is a undercutting the stem. 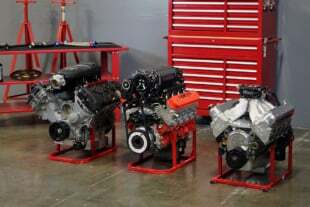 Engine builders will always seek lighter valves to allow for more aggressive cam profiles or higher-lift rocker arms. Quite simply, the faster a valve can be opened and closed, the greater the benefit to the engine—especially the intake valves. However, engine builders either have to work within a budget or rules that restrict technologies and materials. The latter dynamic was never more intriguing than when manufacturers experimented with aluminum-beryllium alloy. First tried as a piston material in Formula 1 but later banned, it was also rumored in the construction of rocker arms and piston pins for Pro Stock. Beryllium is half the weight of titanium and also very strong—but not very ductile. The biggest drawbacks to beryllium are costs—it’s about three times more pricey titanium—and it’s very toxic as beryllium dust is extremely carcinogenic. 3D printing with metal can result in very intricate designs, both internally and externally. This is a unique heat exchanger printed for a racecar. Perhaps the most promising technology in the near future is additive manufacturing or 3D printing. At this point there is debate whether certain properties of 3D-printed metals can be predictive and consistent. When that technology is perfected for metals, however, hollowed-out valves with very intricate internal latticing for support could be produced.